William S. Mattingly is a Member in the Energy and Coal industry groups, focusing primarily on worker's compensation and federal black lung. He practices out of the Firm’s office in Lexington, Kentucky. Bill’s practice centers on the defense of federal black lung claims before the U.S. Department of Labor (DOL). He regularly appears before the DOL’s Office of Workers’ Compensation Programs, Office of Administrative Law Judges, and the Benefits Review Board. He’s appeared in defense of black lung claims before the United States Courts of Appeal for the Third, Fourth, Sixth, and Tenth Circuits. Bill also has written about black lung litigation and has regularly lectured on developments in black lung cases. Whether taking depositions or appearing before the court in an appellate oral argument, Bill enjoys helping his clients solve problems. And he’s clearly good at it. He is rated AV Preeminent by Martindale-Hubbell®, has been included The Best Lawyers in America® for Worker’s Compensation Law – Employers since 2005, and was named in the 2011 edition of West Virginia Super Lawyers®. Bill loves that being a lawyer has allowed him to wear other hats as well, such as teacher. Bill was an adjunct lecturer at the West Virginia University College of Law from 1996 to 2013, teaching appellate advocacy. 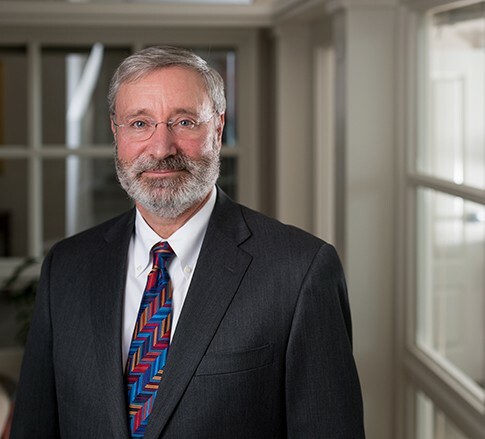 He’s also adept at taking the lead – he coached several WVU Moot Court teams in national moot court competitions, and serves as chair of the Firm’s internal administrative law practice group. Also, as a graduate of the University of Cincinnati for both his undergraduate and law school degrees, it’s no wonder he’s a die-hard Reds fan.